The Dreaming Demon is an atmospheric 14,000 word dark fantasy novella, inspired by the classic works of Haggard, Howard, and Lovecraft. My inspiration for this story came from the disappointment of reading too many formulaic modern adventures where ‘a secret that will shake the world’ is uncovered. I have always much preferred reading the classic old adventure tales, and was yearning for a return to this age of storytelling. In writing this novella my aim was to gently regress the reader back in time from the present day to the golden age of adventure, through the memories of the characters. This leads to the uncovering of a tale of adventure with a dark underbelly, as the protagonist gradually realises that something sinister lies behind the expedition he has been persuaded to undertake into the jungle. My work generally involves the uncovering of darkness lurking beneath the surface of our world, although the style of storytelling in the Dreaming Demon is a slight departure for me. In 1592 the monk Ferdinand de Castile set out for the New World to preach to the natives in the jungle without knowing about their Gods and the power they hold. All that survives is his journal, the ramblings of a tortured soul on the fringes of sanity, recounting tales of a forgotten city long since lost to the rain forest. Now an expedition led by Sir Albert is to attempt to rediscover this city and its secrets. What mysteries and horrors led to the city being deserted by its inhabitants and engulfed by the jungle? Why is the beautiful but enigmatic Lady Athelton so intent on following in the monk’s footsteps? Will the mission lead to the discovery of a city paved with gold and jewels, and fame and fortune for all involved? Or does something more sinister lie in wait in the depths of the jungle? 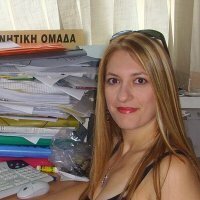 Alex Avrio was born in England to Greek parents, and has spent her life living in both Athens, Greece and various places in the UK. Alex currently lives with her husband in Newcastle upon Tyne. Alex has always been a keen writer, but waited until she completed her PhD in e-business before finally realising that writing was her calling. 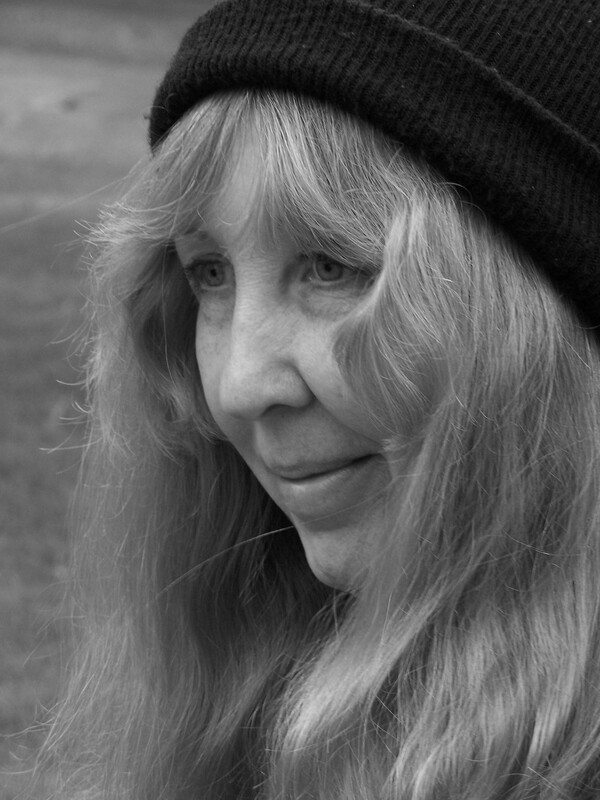 She mainly writes in the Dark Fantasy genre, where dark forces or supernatural powers lurk beneath the surface of our world, unknown to the general population. 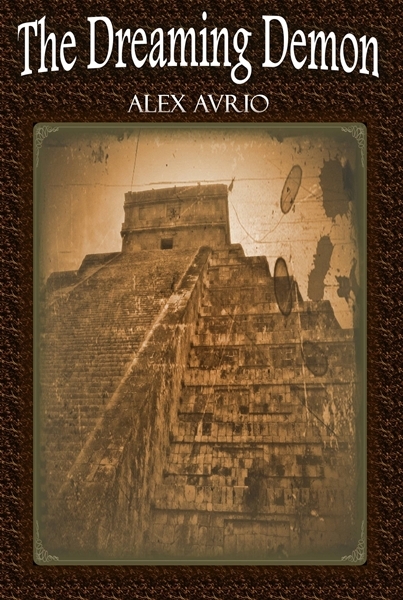 In addition to The Dreaming Demon, Alex also has two novels in the pipeline, which are due for release in 2015. 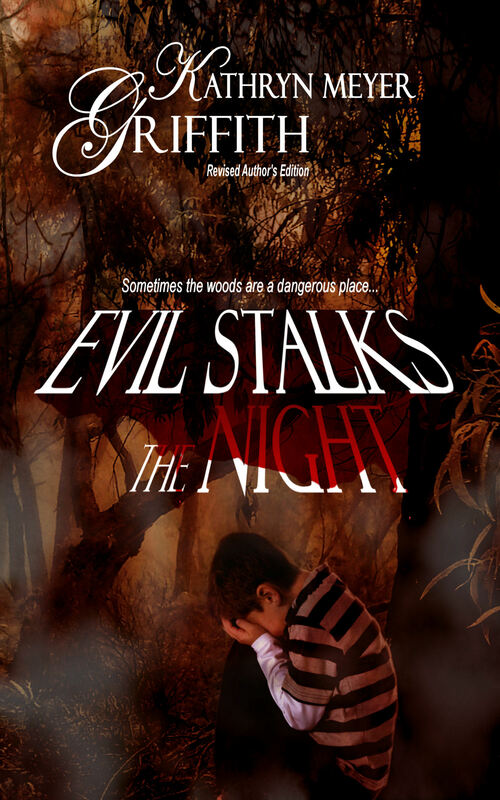 This novella begins an entire up-coming saga: The Saga of Evil. In production for about ten years it finally reached the light of day in February of this year and is gradually taking the world by storm. The novella itself combines military Sci-fi and horror and takes it to a whole new level with fast-paced action and more. It’s a book no one should miss out on. The events within the book start a ripple that will in time reach across an entire universe, but right now you just have to ask yourself: Are you ready for what lurks out there? 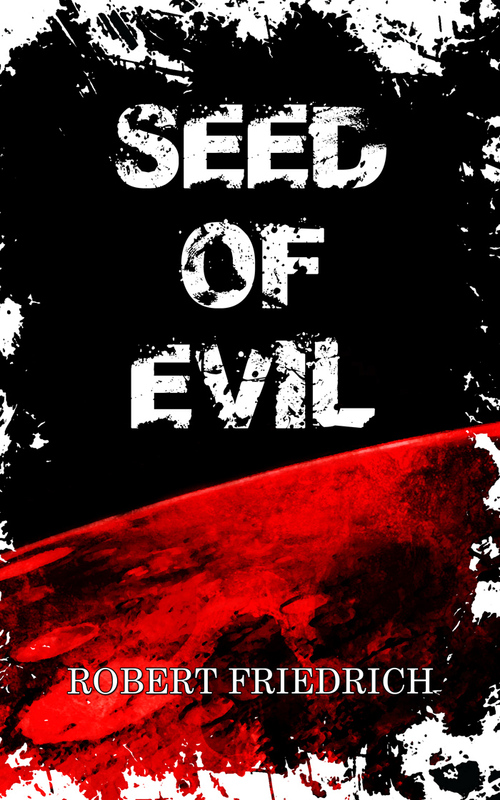 Seed of Evil: An Ancient Evil Rises is a thrilling and intense ride no one should miss out on. From a distant galaxy far beyond our time, the most ancient of all EVIL awoke before descending upon our unsuspecting galaxy. The planet it reached never faced such a threat, but didn’t submit to it, either. In a final attempt to survive, a prison between dimensions was built, the last hope to hold the DARK POWER for an eternity. The planet withered and died, and its people found a new refuge among the stars. That planet is now known as: Mars. But even eternity doesn’t last forever. Ignorance and an infantile arrogance of a nation leads to its release. And once again, it only leaves death in its wake. Read the fast-paced Sci-Fi/Horror, where the elements of OCCULT meet with an advanced MILITARY thriller, wrapped in a colossal battle between good and evil. Robert Friedrich is an Author who writes in a multitude of styles which include Novella’s, Short Stories, Poetry and even Screenplays. His books are famous for taking an unconventional route through the darkest of places and emotions, and are generally driven by fast paced action and direct-from-heart dialogue. 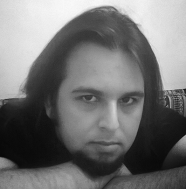 His current releases include: The Darkness Within: A Novella, Enlightened by Darkness Anthologies, The Book of Metal Lyrics and Seed of Evil, which is the first part of an entire up-coming Saga. Robert surprises his audience by how different, each of his book’s tone, message is and how they are visually descriptive. He also designs his own book covers and trailers. Here it is, Folks! 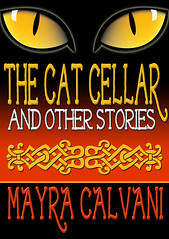 Dora Machado’s entire Stonewiser award-winning fantasy trilogy, published by Mermaid Press, FREE on Kindle. To get your free download NOW from the Kindle store, click on each title below. It’s as simple as that! Between truth and deception, between justice and abuse, a stonewiser stands alone with the stones. Or so begins the stonewiser’s oath. 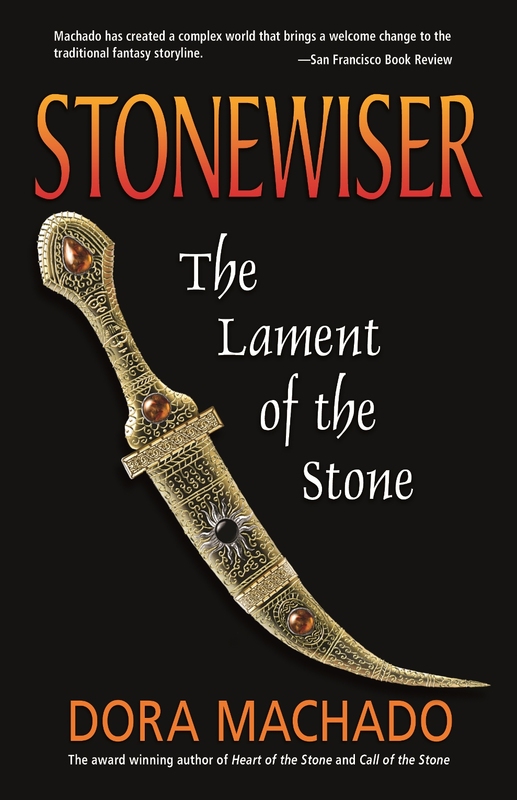 But what happens when a rebellious stonewiser discovers that lies have tainted the stone tales? In a world devastated by the rot’s widespread destruction, only the tales preserved in the stones can uphold the truth and defend the Goodlands. In this world, stone truth is valued above anyone’s word, and stonewisers are the only ones capable of retrieving the tales from the stones, the only link between past and present, order and chaos. Sariah is the most gifted stonewiser of her generation, but her talent does not atone for her shortcomings. A survivor of the Guild’s brutal training, she is curious, willful and disobedient. Yet not even Sariah is prepared for what she finds when she steals into the Guild’s Sacred Vaults: A mayhem of lies and intrigues that shatters her world. Hunted, persecuted, and betrayed, Sariah must make an unlikely alliance with Kael, a cynical rebel leader pledged to a mysterious quest of his own. The fate of their dying world depends on their courage to overcome centuries of hatred and distrust. But not even the grueling journey has prepared them for what they are about to discover. Because nothing is really as it seems, and the truth is more intricate and devastating than they ever suspected…. Sariah’s reward for revealing the stone truth: a death sentence. The executioners have arrived and Sariah, the most powerful and controversial stonewiser of her generation, has been judged and condemned to death. For the last few months, Sariah has been hiding in the Rotten Domain, trying to find the elusive tale capable of uniting a divided people teetering on the brink of a catastrophic war. As she is dragged to the nets, where an eel rave has been stirred to maximize her execution’s gruesome spectacle, Sariah knows she cannot escape her sentence. She is guilty of the crimes for which she’s been condemned and no one, not even Kael, the Domain’s foremost rebel leader, can save her from the executioners’ righteous justice. But Kael is more than just a formidable warrior; he is also a cunning strategist and Sariah’s steadfast lover. Risking all he has, he bargains with the greedy executioners, bribing them into delaying Sariah’s execution, buying her precious time and a last chance to realize the mysterious legacy that the stones have imposed on her. The agreement is hardly a reprieve. It encourages a mob to hunt Sariah for ransom, banishing her from the Rotten Domain and imposing heavy fines on anyone who tries to help her. Worse, it requires her to wear an irremovable, mysterious bracelet. If she doesn’t return to the executioners with the tale in hand when the allotted time expires, Kael and his kin will be ruined and the bracelet will kill her. Hunted by the executioners, the Guild and the Shield, Sariah and Kael embark on a desperate search. Their journey will take them to the depths of the Rotten Domain, where Sariah must wise a guiding beam out of the wild tale stored in a stone-carved game. The beam will lead them through the warring Goodlands—where the rot is on the move—to the land beyond the Bastions, where a zealous people guard an ancient stone that could hold the key to their search. Along the way, Sariah and Kael must overcome deadly traps, torture, heartbreak, agonizing defeat and devastating losses in a desperate attempt to avoid war and answer the mysterious call of the stone. In their most perilous adventure yet, Sariah, the rogue stonewiser who stunned the world by discovering lies in the stones and defying the all-powerful Guild, and Kael, the rebel leader who against all odds loves her, must find a stolen child, the only one capable of setting rule upon chaos, preserving the future of stonewising, and defeating the rot ravaging the land. The stakes couldn’t be higher. The coveted child they seek is said to be an abomination. He is also their son. It’s a daunting challenge. Their child is in the hands of a deceitful enemy who has fled to a mysterious ruler, a rival deity with unfathomable powers pledged to destroy the goddess and eradicate stonewising from the world. Worse yet, the land is engulfed in strife, the rot is spreading faster than ever, and Kael is haunted by a malevolent curse compelling him to kill the woman he loves. In a dangerous journey fraught with shocking twists, Sariah and Kael must do more than defeat their foes, unravel the mystifying forces vying to control their lives, and discover the mysteries of ages past. They must challenge the stones, defy the goddess and confront their cursed fates. Because only by embracing their destinies do they stand a chance to save their child and their world. For those of you audio book lovers, the first book in the series, Stonewiser: The Heart of the Stone is now available from Audible. Be sure to check it out! 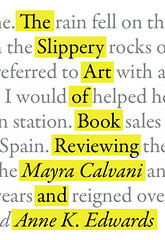 Dora Machado is the award winning author of the Stonewiser series and her newest novel, The Curse Giver, from Twilight Times Books, available July 2013. She is one of the few Latinas exploring her heritage and her world through the epic fantasy genre today. She holds a master’s degree in business administration and graduated Phi Beta Kappa from Georgetown University. She was born in Michigan and grew up in the Dominican Republic, where she developed a bilingual fascination for writing, a love for history, and a taste for Merengue. After a lifetime of straddling such compelling but different worlds, fantasy is a natural fit to her stories. 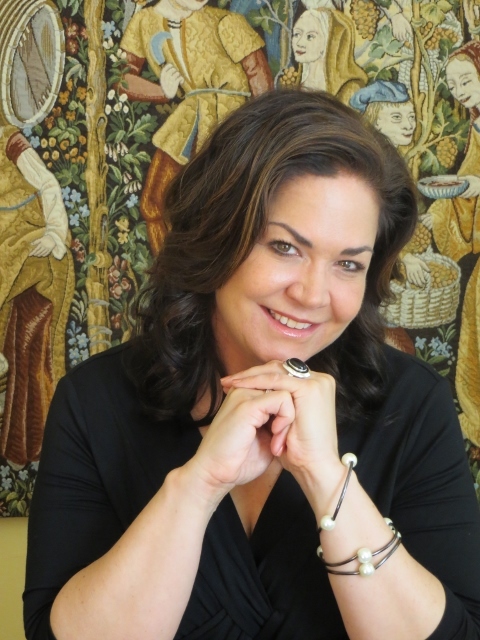 She enjoys long walks, traveling, and connecting with the amazing readers who share in her mind’s adventures. She lives in Florida with her indulging husband and three very opinionated cats. Visit her at www.DoraMachado.com. 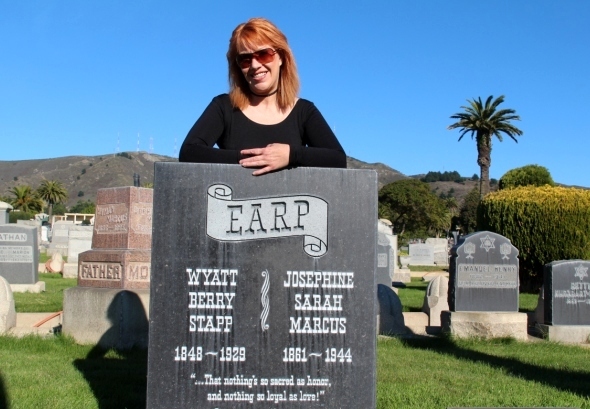 While most people go to Disneyland while in Southern California, Jeani Rector went to the Fangoria Weekend of Horror there instead. She grew up watching the Bob Wilkins Creature Feature on television and lived in a house that had the walls covered with framed Universal Monsters posters. It is all in good fun and actually, most people who know Jeani personally are of the opinion that she is a very normal person. She just writes abnormal stories. Doesn’t everybody? Jeani Rector is the founder and editor of The Horror Zine and has had her stories featured in magazines such as Aphelion, Midnight Street, Strange Weird and Wonderful, Dark River Press, Macabre Cadaver, Ax Wound, Horrormasters, Morbid Outlook, Horror in Words, Black Petals, 63Channels, Death Head Grin, Hackwriters, Bewildering Stories, Ultraverse, and others. 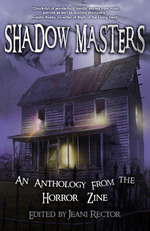 Q: Congratulations on the release of your latest anthology, SHADOW MASTERS: AN ANTHOLOGY FROM THE HORROR ZINE. When did you start writing and what got you into horror? A: When I was a little girl, I spent nearly every Saturday night at my best friend’s house. We would try to stay up late and watch the Bob Wilkin’s Creature Feature here in Sacramento. (I say try because we always fell asleep on the floor in front of the TV). Wilkins always showed gothic vampire films and B-grade monster mashes. That started my love of the genre…and then came Carrie by Stephen King. Need I say more? Q: Did you have a mentor who encouraged you? A: It’s always a teacher, isn’t it? My fifth-grade teacher told my mother: “Encourage her writing and discourage her artwork.” Ha! That says something about my drawing ability. Q: Did you have any struggles or difficulties when you started writing? Q: What was your inspiration for putting together SHADOW MASTERS? A: My inspiration is to combine best-selling writers with the talented lesser-knowns. SHADOW MASTERS is the first time The Horror Zine has compiled original, never-before seen works from horror greats such as Bentley Little, Yvonne Navarro, Scott Nicholson, Melanie Tem, Elizabeth Massie, Earl Hamner, Simon Clark, Cheryl Kaye Tardif, Ronald Malfi, Lisa Morton, Jeff Bennington, JG Faherty and many others; this amazing collection of works also includes a Foreword from Joe R. Lansdale. Q: Do you have any short story plotting secrets? Do you use index cards or special software? A: I have written the “secrets” for short story writing that can be found in the June issue of The Horror Zine (under TIPS) available now at http://www.thehorrorzine.com. Q: What do you tell your muse when she refuses to collaborate? A: I say “I’ll be back” and file it in my “unfinished” folder. Then I work on something else. Or go out and enjoy the day. The point is, you cannot force your muse. She comes to you. Q: Many writers experience a vague anxiety before they sit down to write. Can you relate to this? A: Not really. Writing is like your job: you set aside a certain amount of time each day. If your muse is uncooperative, then you can always do edits on what you have previously written. Q: How do you celebrate the completion of an anthology? A: Splash it all over The Horror Zine, Facebook, and Shocklines! Q: What do you love most about the writer’s life? A: Well, you have to understand that I am also an editor. I think I like that best, because I get opportunities to work with the most talented (and nicest) people in the world. Q: Anything else you’d like to tell my readers? A: The Horror Zine is always seeking fiction, poetry and art from morbidly creative people. Come visit us at http://www.thehorrorzine.com. Purchase SHADOW MASTERS from Amazon (paperback) and on Kindle. I’ve been asked why I write about the darker side of life, involving subjects like drugs, personality disorders, abuse, neglect, and violence. My work is fiction but it’s based on a lot of things I have personally experienced, and the characters in “Vida Nocturna” come from vampires I have known. I wrote “Vida Nocturna” in a two-year graduate workshop at the University of Chicago, where people from the industry sometimes visited to show us how publishing worked. It became clear to me that books weren’t getting published because they were good. They were getting published because they were predictable sales and the publishing companies could go back to their stockholders to report that they’d placed safe bets, which very often meant that they closely resembled earlier work. Books were chasing the market in a death spiral of creativity. My daughter was reading “Twilight” at the time, and this, to me, was a prime example of what was happening in publishing. Vampires sell, and romances are half of the fiction market, so it wasn’t surprising that publishers were climbing all over each other trying to put out the next series about vampires in love. Meanwhile, the book my daughter was reading seemed to be telling her to date the spookiest, creepiest guy she could find. My book, “Vida Nocturna,” is a response to that. Sara’s narcissistic father and borderline personality disordered mother left her helpless, drained and afraid, turning to horror and fantasy stories to escape her real life. In college she fantasizes that her spooky new boyfriend is a vampire because he’s pale and slender and stays up all night with a strange dark energy. By the time she realizes he’s a cocaine addict, she’s been “bitten” by the drug and become addicted, herself. 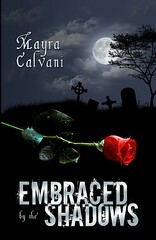 Sara has always escaped her real-world fears by reading fantasy and horror stories. Now, as a social-phobic college freshman, she enters a dark world where horror is not supernatural and fantasy is a trap. Evil is contagious. Victims become predators, and every predator was once just like Sara. Imagining she’d be different was her first step toward them. Now, draped in the decadent ‘80s subculture, she’s rendered helpless by powers she never imagined. 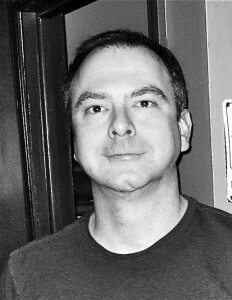 Mark D. Diehl has lived and worked in five countries. He met his wife Jennifer in South Korea and was chased out of the country by her powerful family and the police, and together they were stranded in Hong Kong with no income and no way home. (Read about this in the “Our Story” section of his blog at http://www.markddiehl.com.) Eventually he became a trial lawyer at a multinational law firm in Chicago, escaped that pitiful existence by attending a fiction writing program at the University of Chicago, and now lives and writes in Cape Elizabeth, Maine. 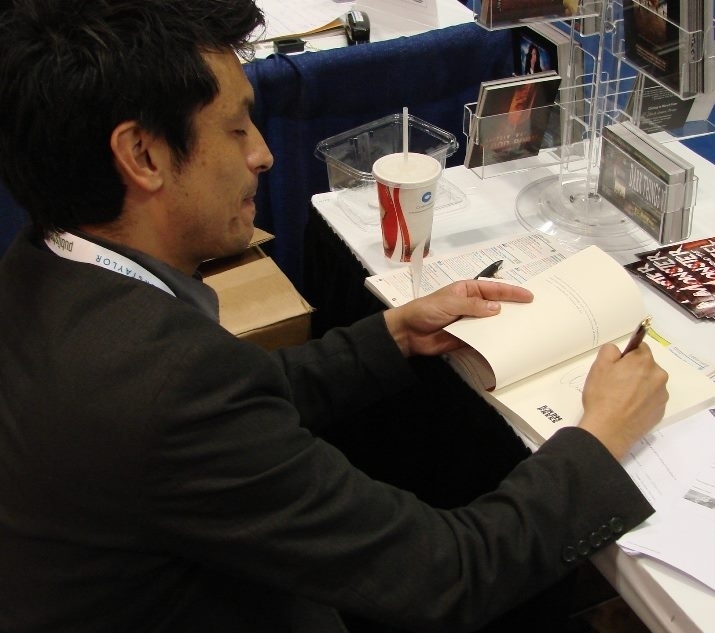 Leland studied Creative Writing and Ethnic Studies at San FranciscoStateUniversity where he discovered the enormous possibilities of poetry, experimentation, and critical theory. He eventually earned an MFA in Writing from ColumbiaUniversity on a merit fellowship. He has published fiction in Open City, Fence, Dark Sky Magazine, Drunken Boat, and Monkey Bicycle, among other literary journals. He is also the project director for an upcoming literary event series, Phantasmagoria: Language and Technology of Suffering, for which he received fiscal sponsorship from the New York Foundation for the Arts. He lives in Brooklyn, NY. Is Epstein a despicable man? He’s certainly trying desperately at something. When his wife disappears he’s frantic to talk to his daughter. But what can he tell her? There must be a reason and he’s all but sure about the gruesome answer. Can he protect Sylvia from the truth, from her terrible lineage and, ultimately, from himself? 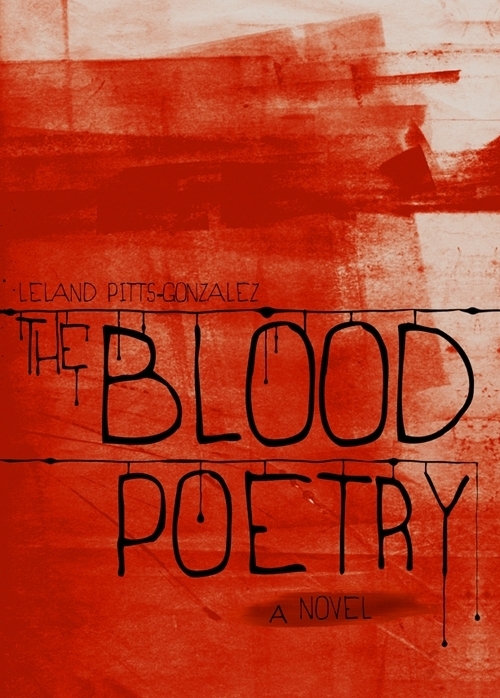 Off-beat and sordid, The Blood Poetry is a twisted, yet honest look at our desire to connect with others and the ways in which we are often stymied by our own efforts to get closer. Epstein is a curious mix of monster and romantic struggling to maintain a shred of dignity in his dingy, beat down world. What was your inspiration for The Blood Poetry? The title of my novel, The Blood Poetry, came to me quite a while after I finished several drafts. I plucked the title from a line in the novel where an evangelical preacher of a church led by conjoined-twins who date back to the Civil War, refers to his sermon as “blood poetry.” That seemed very fitting to me as a title. The novel literally and symbolically revolves around “blood”—as nutrients for the undead characters; the blood of explicit and implicit violence; and, perhaps most importantly, blood as the central metaphor for “family and lineage” which, for the main character, is the source of his suffering. Also, as a fiction writer and reader, I’m very drawn to voice and adroit uses of language—not simply lyricism, but the odd ways one can craft language to demonstrate a character’s state of mind; the manipulation of cadence and tempo to convey tension rather than relying on plot; and, when it comes down to it, I like reading other writers who invent bizarre ways of narrating because it feels like I’m being invited into a really strange and, maybe, dangerous place. Tell us something about your hero and/or heroine that my readers won’t be able to resist. I don’t think there are any true heroes in my book. The protagonist ultimately transforms into an “anti-hero.” He’s our narrator, our vehicle into the novel’s world, and the character with whom a reader may feel very conflicted empathizing. I hope he’s more complicated than simply being despicable—he is, in fact, empathetic, too; pretty funny, vulnerable, and victimized; and really does have a sincere interest in the wellbeing of his daughter, Sylvia. The question is: Can he overcome all the uglier elements of his personality? Is there a villain or villainess in your story? Tell us about him/her. Although I just described Epstein as an anti-hero, the villain that he reveals to us as the epitome of evil is Professor Applebaum—his mother’s boyfriend during Epstein’s childhood. Professor Applebaum—as a bloodsucker and stand-in for forces which terrify us most as children—transforms Epstein’s mother into “a monster.” He observes—and is complicit—in the suffering that Applebaum imposes on victims. Although our main character was a child during that time, the fact that he was complicit in the pain of other people devastates him. Epstein is not, at his core, an evil man. Who is your favorite character in the book and why? I think my favorite character in the book is the daughter, Sylvia. As the writer, I was able to develop a lot of empathy for her; plus, in the beginning, she’s very rambunctious and rebellious, morphs into someone who is more introspective, but still has a lot of verve. Sections which involved her were a lot of fun to write because I allowed myself the freedom of messing with the language, as well as mimicking her internal voice. She seems to be the smartest, most empathetic, and most humane character in the novel. What is your favorite scene in the book? Why? I’m not totally sure, but I’ve always liked the opening. It begins immediately with Epstein sprinting toward Sylvia’s school—the set-up is tense, and I hope the language reflects that. I really, really like making things up—characters, worlds, and voices. And it’s always exhilarating to affect people who appreciate dark fiction in a meaningful, impactful way. Is there anything else you’d like to tell my readers? Thanks for still finding wonder in the world of words.